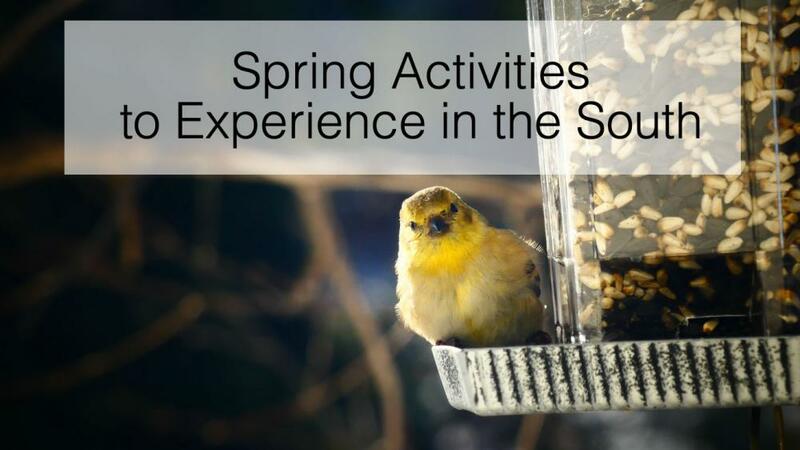 Spring Activities to Experience in the South | Hurdle Land and Realty Inc.
We’re making it through another frigid winter here in the South and I’d say now is just as good a time as any to start thinking about what we’re going to do come springtime. It will soon be time to shake the snow off of our boots, indulging in the warmth of the sun on our face for the first warm day of the year. Neon green leaves are finally standing out against the brown of the trees, left bare by the winter, and the bright colors of flowers are soon to follow. Lose the cold weather drearies and make plans now to get out and enjoy a few of these spring activities in the South. A picnic on your own rural property should get anyone excited to get outdoors after a long, cold winter. Throw down a blanket, grab some snacks, put some drinks on ice, and take the kids out to a rarely visited spot on your property and spend the time spent on your picnic telling your kids stories about when you were young. The best activities are the ones that will create lasting memories for those you love. You can’t deny the fact that blowing bubbles makes you feel like a kid again. The worst part was that they always disappeared too fast. Now you can combine the joy blowing bubbles in your backyard with a learning experience to create longer lasting bubbles and longer lasting fun! All you need is water, soap, and glycerin, and you’re well on your way to creating a fun experiment that should entertain for hours! Who doesn’t love sitting and drinking a hot cup of coffee or cocoa in the morning, while watching the birds peck at the ground? The way they flit around causing their colors to flash about in the bright sun can be hypnotic. Not to mention, the kiddos are usually pretty entertained by them as well. Yet another way to turn learning into a fun experience would be creating homemade bird feeders with the young ones. Use the experience as a way to introduce them to the basics of birdwatching and open their minds to the beauty of nature. Together What kid doesn’t love the idea of having their very own playhouse? And when they have all the land surrounding them that we get to enjoy here in the country, the possibilities are endless. We recommend taking this idea one step further and building the playhouse together as a family. Not only will it save money, but will also instill a feeling of accomplishment in all those involved in its creation. If you haven’t left the city life yet, but this list has made you realize just how desperately you actually long to call the rural countryside your home, now is a good time to take a look and see what’s available. Imagine experiencing all these wonderful spring activities in beautiful Monticello, Georgia. We have land available for purchase in Georgia and we help finance prospective owners in-house. Whether it’s a blank slate of land or one with an existing home, there are plenty of purchase options available that will help you make the right decision. Let our decades of experience in owner financed land help you find your forever home right here in the beautiful south.